The birthday of the trees is Tu B’Shevat celebrated on the 15th of Shevat, is January 15. It is the day the trees begin their fruit bearing cycle and we eat the fruit of those trees mentioned in the Torah that grow in Israel - figs (te’enah), dates (tamar), olives (zayit), grapes (gefen), and pomegranate (rimon). We also add wheat (chitah), barley (se’orah) to complete the list of seven species. These were the ancient staples of the ancient diet. Add to that almonds (shaked), the unofficial eighth species, due to all the almond trees in Israel that bloom right around Tu B’Shevat. The seven species are still important agricultural foods for Israel, but they no longer dominate the country’s produce. It was on my second trip to Israel that I planted my first tree there. I was working for Jewish National Fund and we were the tree folks. What an adrenaline rush! Wow! Did you know that JNF has actually fought back the desert by planting all those trees? From space, you can tell where Israel is due to the density of trees. Way cool! I became a mini-tree expert during my years at JNF as national spokesperson. I had become friends with high ups at the US Forest Service and had all kinds of cool experiences. I have planted many more trees with my own hands while in Israel and it is something I recommend everyone do at least once. There is something to be said for placing the seeding in the soil and patting it down with your own hands. It was never our tradition to have a big meal on this holiday. But I do think it is a cool idea to have a dish that includes the seven species. I did a lot of research for ideas and every recipe had one or two or three of the species. I wanted a recipe that incorporated all seven. 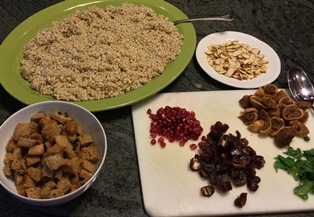 It took a little creativity to come up with one recipe that included them all, but I did it! I DID IT, I DID IT (DO I sound like Dora the Explorer? So here is my Sephardic take. 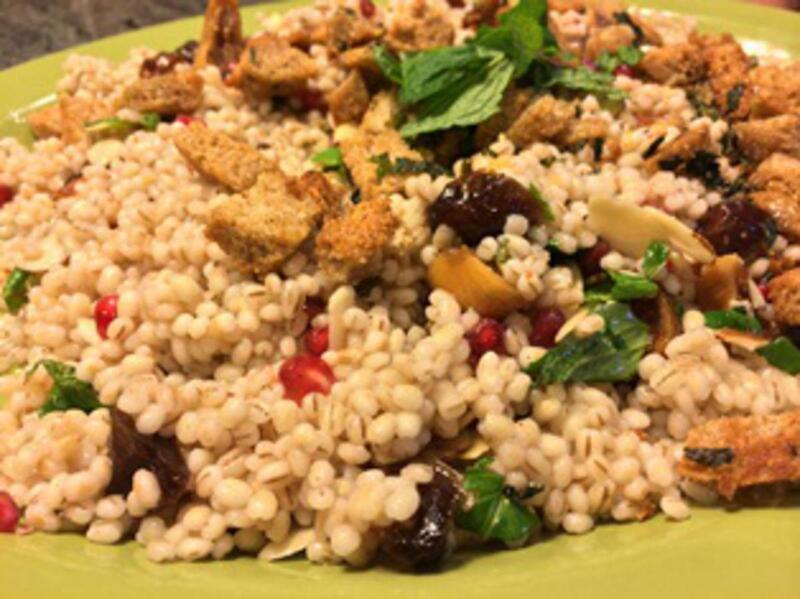 I created a luscious – absolutely divine - Seven Species Couscous Salad using pearl barley, all of the fruits, and whole wheat croutons! Mint and lemon help this dish pop in your mouth. It is a meal all by itself. Wait till you try it! 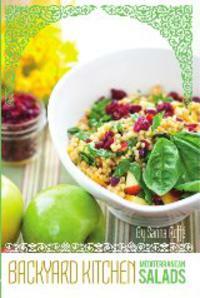 Click here for the Seven Species Couscous Salad recipe !